BTX’s top 3 most popular export destinations are Great Britain, Canada and Norway. When shipping to Alaska, Hawaii or Puerto Rico, BTX Global Logistics offers you an experienced and dedicated team able to handle the challenges and requirements of the industry with flexibility and efficiency. Whether your cargo is transported by air or by sea, BTX strikes the perfect balance between budget, speed and reliability. BTX provides a complete portfolio of domestic air services to the off shore markets including Next Day, Two Day, Three Day and Economy (3-5 Days). Less than Container Load (LCL) and Full Container Load (FCL) options are available to and from Hawaii, Alaska and Puerto Rico in addition to RO/RO, Project Cargo and Refrigerated Services. Same day, next day or scheduled departures to the outer islands from Honolulu by air or by scheduled barge service. BTX has the tools and expertise to manage the logistics planning for both time-sensitive and economy off shore shipping. 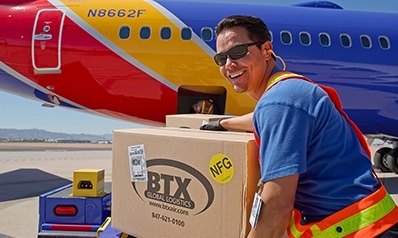 BTX has regular consolidations by both air and sea from the Pacific Northwest to Alaska, from Los Angeles and San Francisco to Hawaii and from Miami to Puerto Rico.